Times are always changing. Whether you like it or not, in just twenty years everything you consider cool today will be old-school. Especially with the coming of the internet and the integration of mobile technology into our lives, in just a couple of decades the world has become an extremely different place. Kids prefer to play in their house, rather than outside, we take off our headphones to greet someone, not our hats. 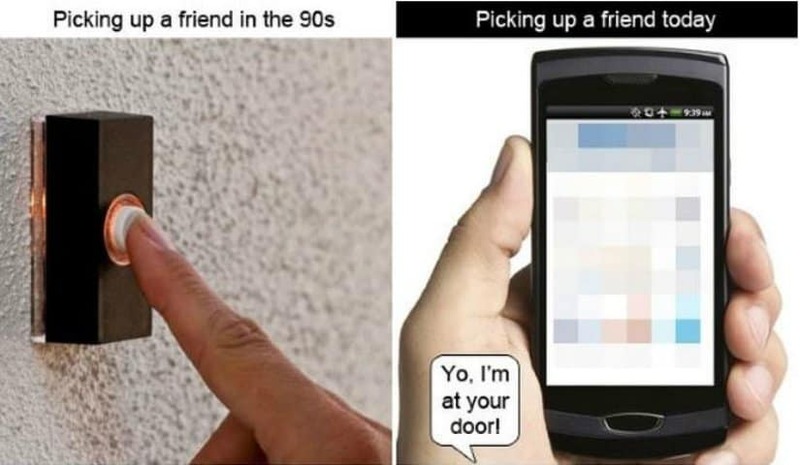 With that in mind we’ve gathered a collection of 10 of the most hilarious and funny illustrations that show how exactly times have changed over the years. Without further adieu, here they are! 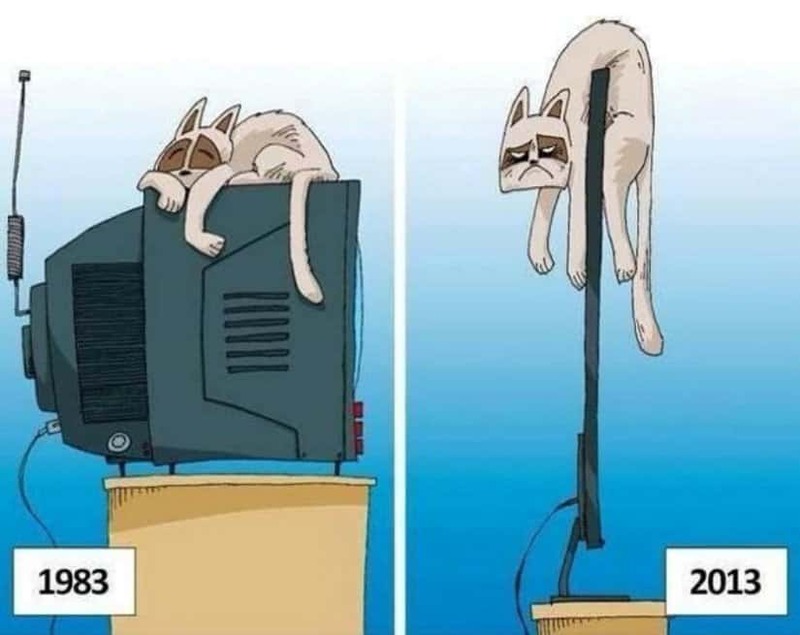 Most people with cats reading this probably don’t remember, but back when TVs were not slim as they are now, cats used to lie on them! And you were wondering why they are now lying on your face! Cats are learning to be tech-savvy too. 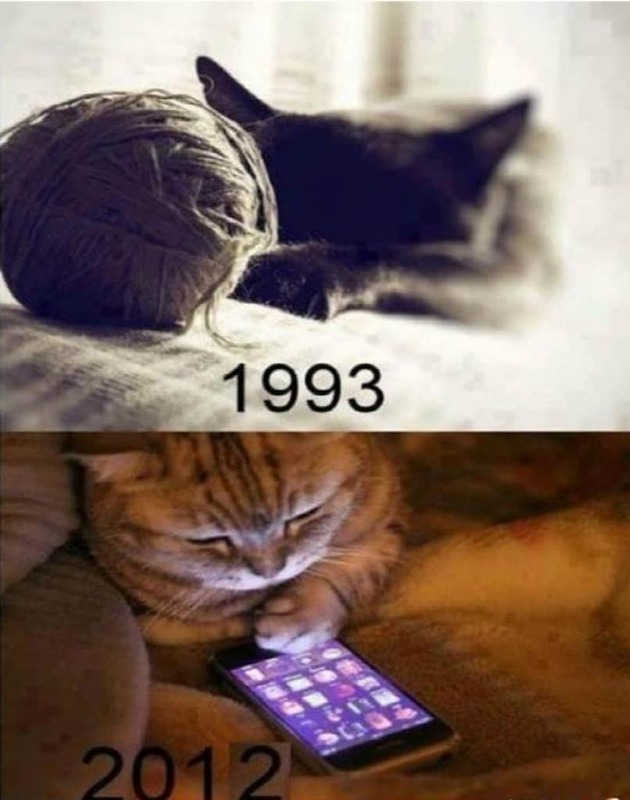 There is no more yarn, but at least there are phones. 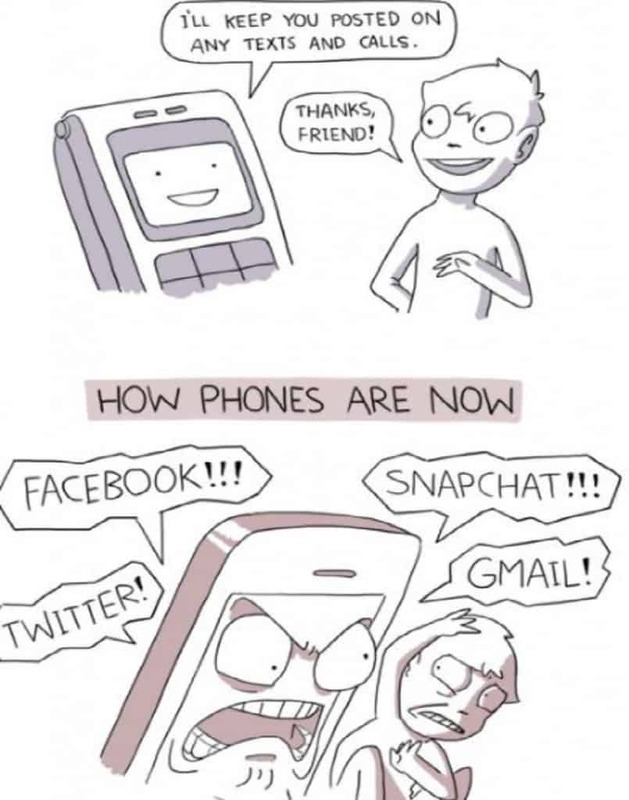 Older phones had batteries which were able to last for weeks at a time, while today we are left with better phones that can hold up only a few hours. Girls back in the day were far different than the girls currently learning in our schools. Parenting definitely has to be taught somewhere so new parents can learn! Phones used to serve us a direct purpose and disturb us only when we receive a call or an SMS. Nowadays, almost every app will notify you of something! 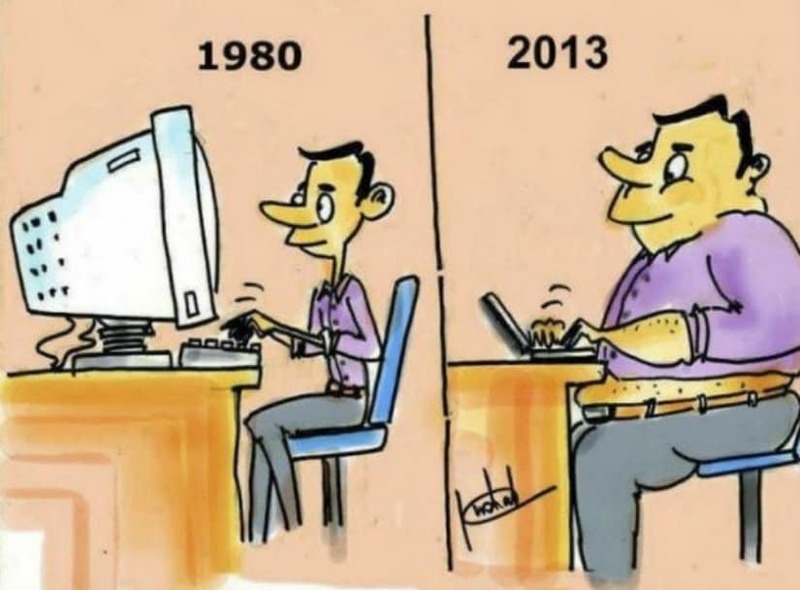 It’s interesting to think about the fact that our technology is getting smaller and slimmer, but we are not. Back in the day people used to get excited when they received e-mail, but now our e-mail inboxes are so full. 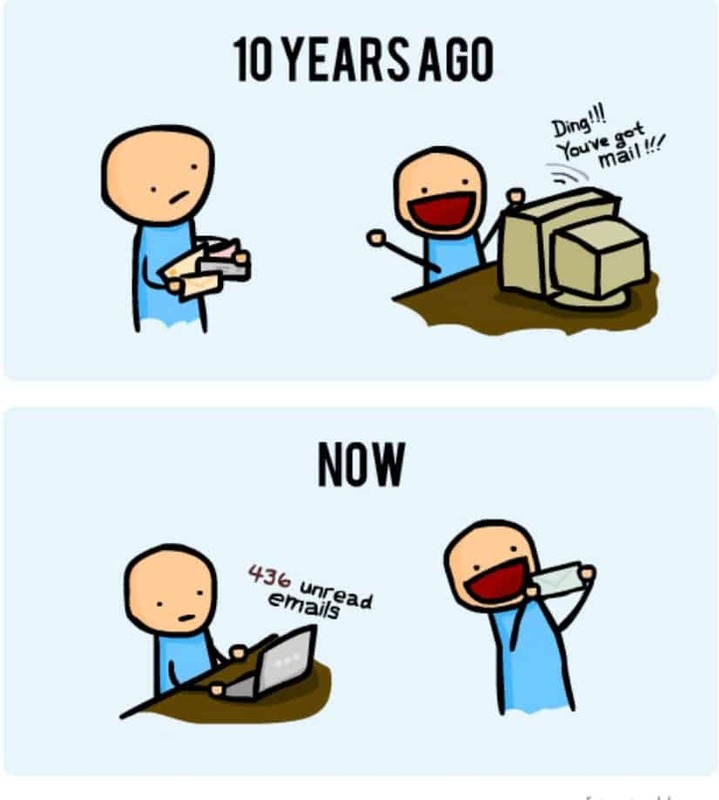 However, we do get excited when we receive the long forgotten mail! 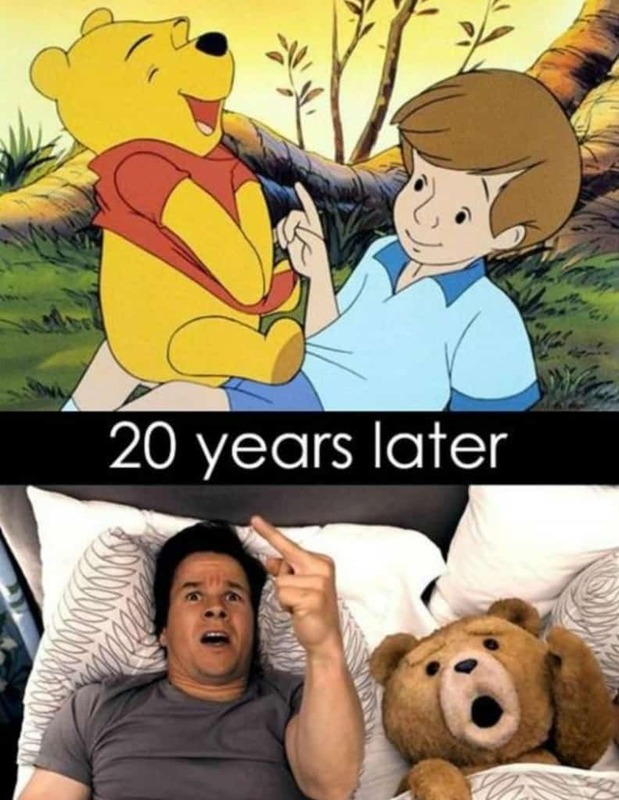 Pooh and Ted are so similar that we can’t help but think, if in an alternate timeline they aren’t actually the same bear, just 20 years apart! 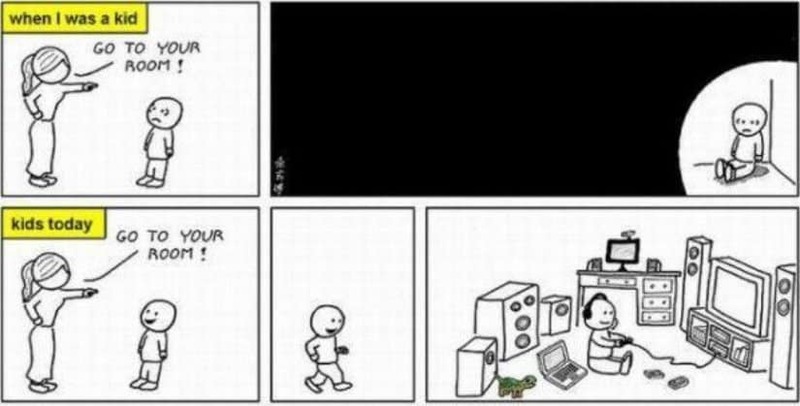 Kids nowadays have so many things to play around in their rooms, that ‘go to your room’ is no longer the appropriate punishment. We’ve become so lazy, that when we are picking up a friend, we don’t even get out of our cars!